In this art and science lesson we are using gravity to paint pictures. This process art is a great project for children who like action. It uses shapes, gravity, and movement to create art. Roly poly art is created inside a container, which can be a plastic food tub or a large cardboard box. You could use a big piece of fabric, such as a play parachute or an old bedsheet, which your children will hold around all the edges, or even use a paddling/wading pool! Place a piece of paper down inside your container. You can use decorators’ tape to hold it in position while the art is being created. You’ll be able to peel this low-tack tape away to remove your painting when you’ve finished. Choose your paint colours and dot small pools of it around the outer edge of your paper. 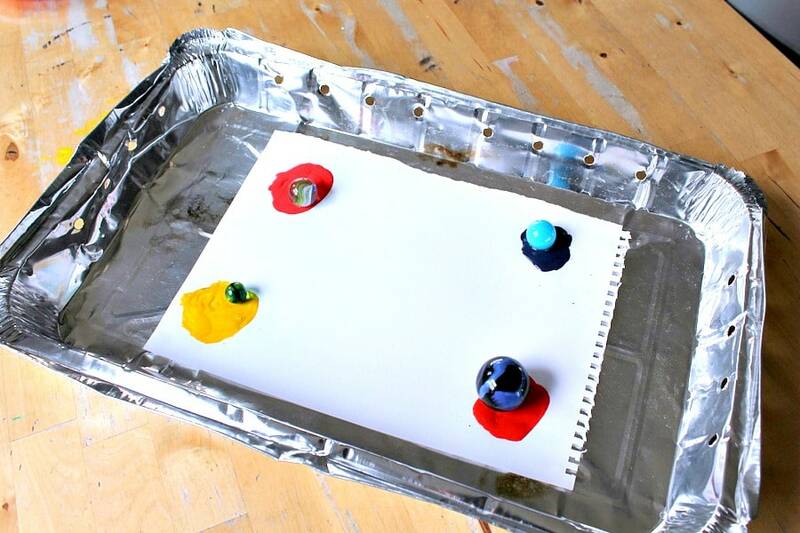 Add you moving parts: placing your marbles, balls, acorns or other rolling materials in each of the pools of paint. Then it’s time for action! 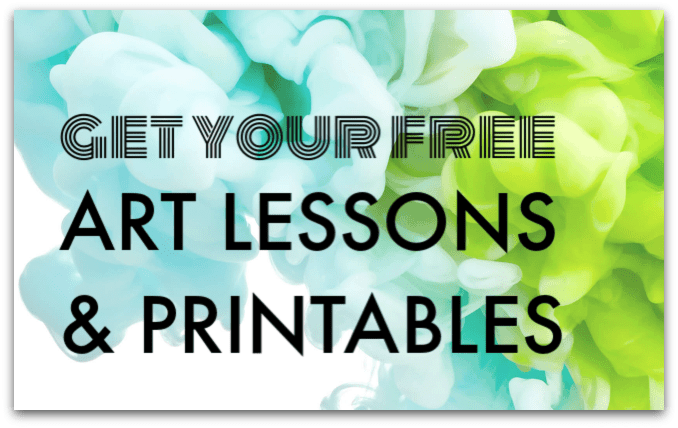 Hold your container around its edges and tip and turn it, making the balls or marbles roll around, through the paint and all over your paper to create your roly-poly art. 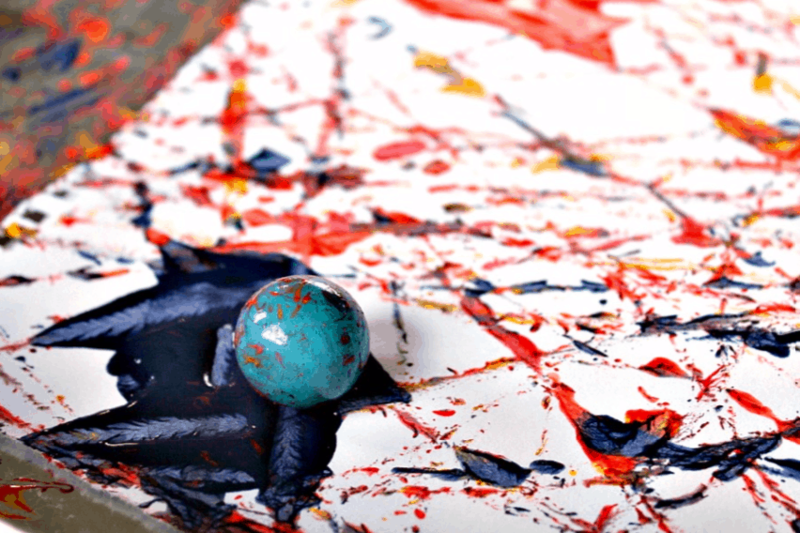 You can add more paint, more marbles, or repeat the process again with a clean piece of paper. 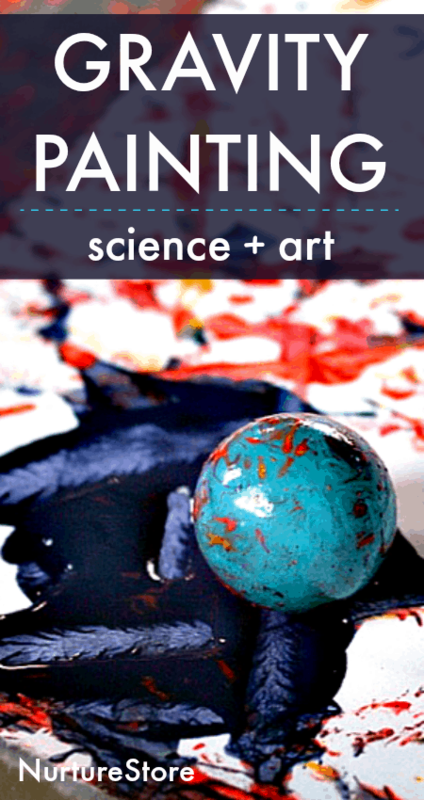 This process art technique combines well with a scientific discussion of gravity, as it’s this force which is helping to make your painting. You can also talk about how the shape of the balls and marbles helps them to roll. To extend this exploration, try creating art using a ramp. 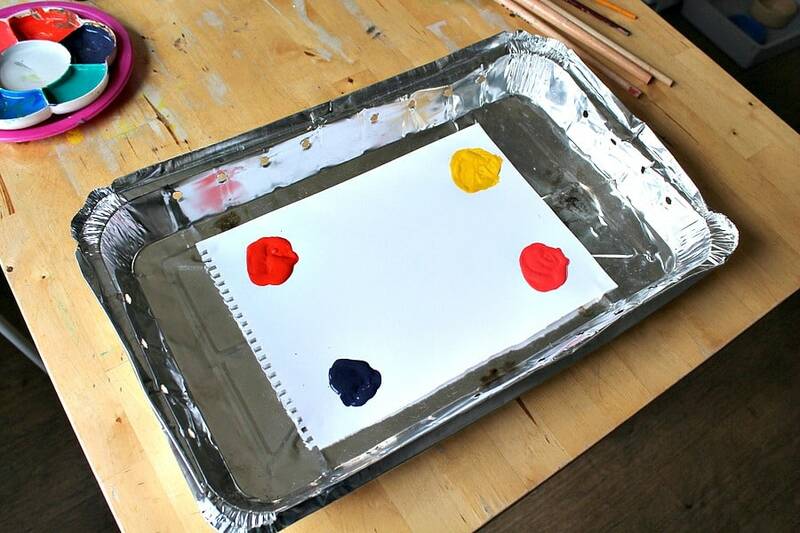 Place your paper onto a ramp, made of thick card or a piece of wood, with some pools of thick paint at the top. 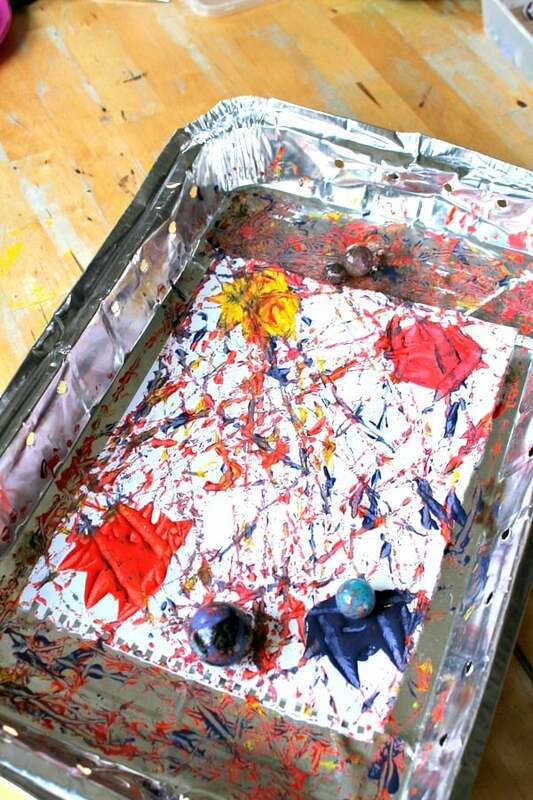 Roll marbles or toy cars through the paint and down the ramp to create paint patterns. You can take this art process outdoors on a grand scale and make art down the slide at the play park. You might like to contrast this roly poly painting with the sculptural process of creating stone cairns or inuksuk. These are man-made stacks of stones, found all over the world, marking special places and used since ancient times. Flat pebbles of different sizes and colours are balanced one on top of another to create towers. In contrast to our roly-poly art, in these stone cairns you are using gravity to stop movement, balancing your stones in such a way as their centre of gravity holds your sculpture in place. Give it a try!